How to convert MKV to iTunes, import MKV videos to iTunes 10 on Mac? How to convert MKV to iTunes M4V on Mac? "A quick question. I have tons of mkv files that have a bitrate of a normal 720p files. I have been looking for a way to convert .mkv files to m4v format for importing the MKV files to iTunes 10. Any tips?" MKV (Matroska Video) is a popular format for online video distribution (particularly through BitTorrent networks and all). It is an open and free container format. One of its advantages is that it can keep a number of video, audio, picture subtitle components in just one file. M4V is a MPEG-4 file extension used for videos downloaded from the Apple iTunes store, includes TV episodes, full-length movies, and music videos, similar to an .MP4 file, but may be copy-protected using Apple's FairPlay DRM copyright protection. Apple newly released iTunes 10 with its innovation features such as AirPlay and ping. The MKV video format has become popular since it supports multiple audio and subtitle tracks in the same container. iFunia Video Converter for Mac is an idea solution that can help you convert your MKV file to iTunes M4V format or any other popular file formats like MP4, WMV, MOV, FLV etc. You can also enjoy the converted files to your iPod, iPhone, PSP, Zune, and many other popular digital players for playback on the go. Head over here and download the free trial version, the program is perfect compatible with OS X Lion and convert MKV to iTunes M4V with just three easy steps. Here is how. Now run iFunia Video Converter for Mac on your Mac. Drag and drop MKV files to the main interface. You can also click the Media Browser icon at the upper right corner to import MKV video files. You may add as many videos as you want for MKV to iTunes M4V batch conversion. Step 2. Set the output format as iTunes M4V and other settings as you like. 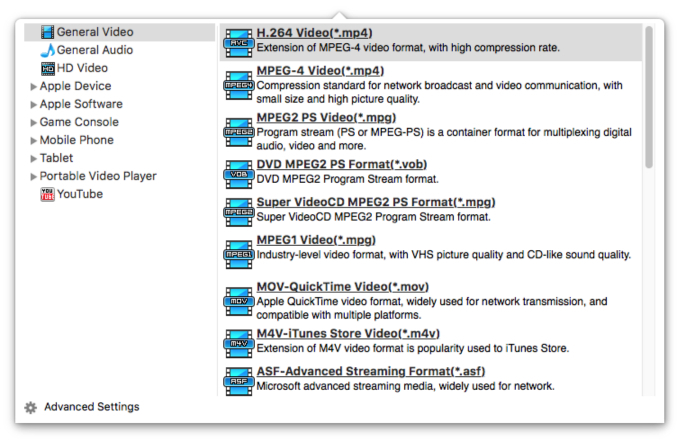 Select M4V as the output format for each video file. You can change the output settings as you need. Remember that the output file size mostly depends on the Bitrate you set. Larger Bitrate, larger file size. Actually video with bitrate as 768 is acceptable for watching. Now you may click the conversion button to begin converting MKV to iTunes M4V video. The convert progress bar shows you how much of the encoding is completed. The encoding time will depend on several variables including: the duration of the video file, the speed of your computer, what other activity your computer is currently doing and the bitrate you set. Now once this is finished you should have a compatible M4V video that will drag and drop right into iTunes. The video will not be much smaller then the original MKV as we did not convert or shrink the video just the audio. Have fun and hope this helps everyone out there.